Is there any way to keep the angle between two bones fixed? Here is what I am trying to do. I got an armature consisting of three bones. 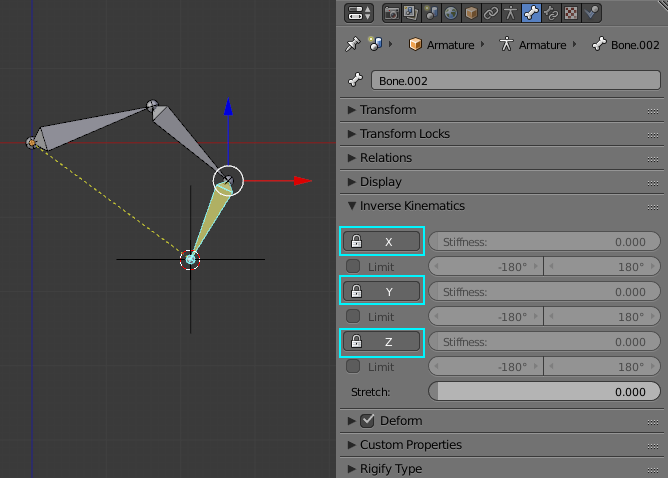 I IK constrained the tail bone to a dummy and when I move the parent bone, the armature should move in a way that the angle between the middle bone and the tail is fixed. I have tried all kinds of tricky stuff, but couldn't get it work. Here is what I mean (sorry for the annoying logo!). Basically, I need the angle between the black bone and yellow bone preserved. It is possible whenever the parent bone (blue) and the IK bone (yellow) rotate "more" so to speak. I mean, it's possible mechanically. Move the IK object one parent down the line. Here is the blend file. 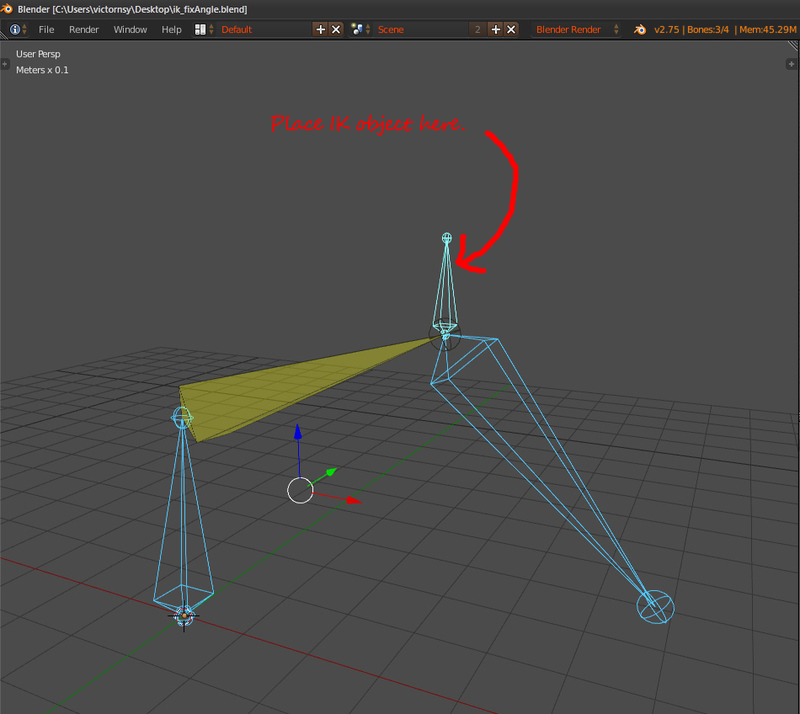 In IK rigging terms, it's the IK object that animator work with. The other bones "reacts" to the movement of the IK object. You will often find that when animator work on an IK rig, they hide all the bones that aren't IK object ... simple because they don't directly interact/transform them. Not the answer you're looking for? Browse other questions tagged rigging armature bones constraints or ask your own question. Is it possible to parent bones between armatures? How can I connect two bones head to head (not head to tail)? Rig a strand with multiple control points?